Have you heard of the Blue Zones Project? It was new to me too until a few years ago when I first learnt that Central Maui was about to become one. Doing some research I learnt that the Blue Zones Project is a global initiative with the goal to make it easier for people to make healthy choices at home and at work. The project was developed by Dan Buettner, a National Geographic fellow, who has travelled around the world studying a variety of cultures and people. In these explorations he began to notice several common characteristics amongst the communities where people were living the longest. To Buettner, it seemed as though the elders in these Blue Zones (as he termed them) had tapped into key tools (the Power 9) that allowed them to thrive long into later life. What he did next was the key! If these powerful tools worked in these populations around the world, why not try to replicate them elsewhere to help others thrive too? Thus the “Blue Zones Project” and the “Power 9” were born with the mission of helping people integrate these tools into their everyday lives so they can boost their health and vitality now and for years to come. In my humble opinion the Power 9 are incredible, not only in their simplicity but also their potency. They are well researched, validated and practical tools for boosting our vitality! And given how closely they align with my personal and professional goals I was SO EXCITED! Can’t we all benefit from: down shifting to lower stress levels, moving more, knowing our purpose, connecting to a higher power, eating more plants, bonding with others, eating til you are 80% full, having a glass of wine? YES!! Learn more about the Power 9 HERE. By implementing these into one’s daily life, Buettner’s research shows that we can help ourselves live longer, healthier lives! So when I saw that this great project was coming to Maui, I immediately reached out to them to see how I could get involved. I am so glad I did, because as it turns out a significant part of the Blue Zones Project is helping Worksites implement the Power 9 for their team. This is when I really got excited because I am super passionate about helping people integrate Yoga into their workday! It has been been amazing to partner with the Blue Zones Project and help many Worksites across Maui with my Yoga at Work sessions. Through our partnership I have been given the opportunity to share this transformative practice and all of it’s tools with so many new people, many of whom have never tried Yoga before, what a fantastic and rewarding experience. An article about our partnership was recently featured on the Blue Zones Project blog, which you can read HERE. I am so deeply grateful to team up with this great Project and it’s amazing local team to help our Maui community make healthy choices at home and at work! I am thrilled to see that more local Maui employers are beginning to offer onsite Yoga! By giving employees a chance to breathe, stretch and quiet their minds these employers help their team move more naturally, down shift to lower stress levels, have a fun team building experience and build healthy habits at work. With so much research to support the benefits of Yoga, these employers are making a great choice to help their team: increase strength and flexibility, enhance immune function, decrease risk of illness, boost productivity and concentration and lots more! One of the businesses that I am working is Maui County Federal Credit Union. Having met a few months ago at a Blue Zones Project event, the team at Maui County Federal Credit Union was interested in an innovative way to help keep their team healthy by integrating more movement and stretching into their day. This goal was in line with the Blue Zones Project that is helping to make healthier choices easier at home and work for our Maui community. To learn more about this amazing project click HERE. After meeting with their team to determine what they are looking for and what would for their schedule Workout Wednesday’s were born! Each Wednesday morning before the branch opens we do a twenty minute Yoga at Work session customized to help their team energize their bodies and minds for the day ahead, teach key tools for stress management and connect as a team. Workout Wednesdays have been a great success with the entire staff! They look forward to Wednesdays, a chance to exercise and wear casual wear! Workout Wednesdays are so great. It really helps to get a good stretch for the day and improves breathing for stress control. I had a migraine at the beginning of Yoga, but after Yoga it was gone!! I really enjoy Yoga Wednesdays and look forward to them every week. Its a great relaxing start to the workday. Curious about the different Workplace Wellness options? Learn more HERE! Thank you so much to Maui County Federal Credit Union Human Resources Manager Jamie Mims for sharing more about their team experience with the Yoga at Work sessions! How long has your team been doing Yoga at Work sessions? Why did you start doing Yoga at Work sessions? We initially started “Workout Wednesdays” with Megan in an effort to become a Blue Zones certified worksite in Central Maui. However, we’ve now appreciated how invaluable our yoga sessions really are. We plan to continue even after we achieve the Blue Zones certification. What is the single biggest change you have noticed in your staff since they began Yoga at Work sessions? Increased positivity and better morale amongst the staff. There’s a sense of camaraderie when we can all do yoga together, no matter the skill level. What other changes do you notice in your staff since starting Yoga at Work sessions? Staff has a more positive outlook on wellness…and yoga, in general. Our staff really looks forward to our yoga sessions. Our “normally-shy employees” have come out of their shell and embraced yoga. A few employees have said that their aches and pains have gone away as a result of the yoga. A few employees have mentioned that their breathing has improved since doing yoga. What is your favorite part of your Yoga at Work sessions? Would you recommend Yoga at Work to other companies looking for a positive change? If so, why? Megan is the BEST!! She is professional, yet personable. Megan is also very punctual, knowledgeable, patient and fun. Would you like to host a free twenty minute onsite Yoga at Work demo for your team? Contact me for more information about how you can put the tools of Yoga to work for your business! Learn more about all of my different Workplace Wellness options HERE! Do you have a sleeping booty? Sitting places our glutes in a relaxed and stretched position, which over time can lead them to become weak and difficult to activate. Having a sleeping booty can set the stage for postural distortions, lower back pain, knee issues and mobility problems…..no bueno! This sleepiness is called gluteal amnesia (or as I like to call it Numb Bum or Sleeping Booty), meaning that left inactive the gluteal muscles can become dormant and forget how to fire. This pattern is displayed in the Lower Cross Syndrome, showing us common areas of tightness/restriction in our hip flexors and lower back and weakness/inactivity in our lower abdominals and glutes. Just like the Upper Cross Syndrome that we explored last week, this pattern gives us an understanding of what might be happening in our lower body and some direction towards resolution! Here is a simple move that you can do anywhere to strengthen these powerful muscles, stretch your hip flexors, and awaken your sleeping booty! Keep your team healthy and strong with my Yoga at Work sessions! Our bodies thrive when we move and our brains are challenged when we learn new things, so why not incorporate a weekly 20-60 minute Yoga session to accomplish both? At the same time you will help them feel happier, sleep better, have strong immune systems, be more productive and have less stress! Contact me to book a FREE onsite 20 Minute Yoga at Work demo session! Want to look, move and feel better? Try my 10 Day Posture Challenge! Quick question: What’s your posture like right now? I bet that question made you instantly sit or stand taller….am I right? We all know how important posture for our health and vitality, yet often forget to do things to strengthen it. I can help! I have teamed up with BurnAlong to bring you the Stand Taller: 10 Day Posture Challenge! This challenge will help you stretch tight muscles, activate your deep core and spinal stabilizers, increase your body awareness, plus feel more energized and confident….sounds awesome right? Learn more about it HERE! This challenge includes daily workouts, the ability to schedule class times and dates, and automatic email reminders about upcoming class. Get the Challenge, plus a whole years work of classes for only $49 when you use the code: 20/20 for an annual membership. In Yoga it is believed that each person is allocated a certain number of breaths for their whole lifetime and that by slowing down the pace and rhythm of the breath one can extend the length of their life. While this may seem like an abstract idea there is actually scientific proof to it! Noticeable difference right? The short breaths likely made you feel energized/awake/anxious and the slow ones were hopefully more calming and soothing. Short shallow breaths quickly signal the nervous system that your body is under stress (ie: fight or flight), since stress is a major risk factor for most chronic diseases it is imperative that we reduce it. In contrast to this, deep, long even breaths tell your nervous system that everything is fine. This calming effect drops cortisol levels, reduces blood pressure and induces healing and recovery. Since breathing is the only part of our nervous system that we can control it is to our advantage to use it to induce as state of relaxation, healing and recovery whenever possible. So try it again now: sit or stand tall and enjoy a few long slow deep breaths, breathing just to breathe and nourish your body from the inside out and boost your vitality! After all the longer your breaths, the longer your life might be. May is Posture Awareness Month! Sit up straight! Stand up tall! We have all likely given or received these powerful commands at one (or several) points in our lives. 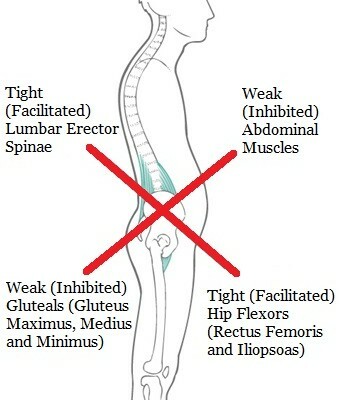 Good posture is something we all know to be important, yet its often something we forget or ignore. However, the digital age is making this difficult to continue to do. Globally, we are seeing a rise in posture related issues which has prompted the creation of a World Posture Awareness Month! Why is strong posture so important? With it we: look, feel, and move better and who doesn’t want that? When it comes down to it, having good postural alignment allows you to work more efficiently with less fatigue and strain on your body’s ligaments and muscles. And while we get that in theory old habits kick in quickly and we sound find ourselves in a less than ideal position…. Being aware of your posture is the first step to breaking old poor postural habits and reducing stress and strain on your spine. It is also extremely important that you integrate movements to activate key postural (aka: core) muscles and stretch areas that are so tight that they may be perpetrating your weak posture. Try this exercise to get a sense for your posture and ability to balance. After all: the two go hand in hand. If your body is in good alignment than you will be able to balance well. So in a sense this move is both a test and an exercise to help you strengthen your posture. 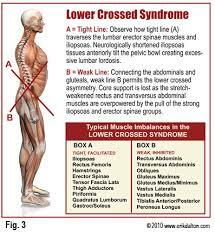 Stay tuned for more posts and videos to help celebrate Postural Awareness month so you can feel and look your best! Postural Awareness Month is the perfect time to empower and educate your team on the importance of good posture and what they can do to have it. Contact me to book a FREE onsite 20 Minute Yoga at Work Demo for your team. This informative and engaging session will give your team powerful tools they can integrate right away to feel, look and move better. Good news is that they can be done in regular work clothes to make it easy for you! For the month of May each new Workplace Wellness client will receive the gift of an additional 30 Minute ABC’s of Posture Workshop ($100 value)! This fun and informative workshop will teach your team the key components of posture that are practical, effective and easy to implement! Whether its a phone, a tablet, a computer or a car we all engage with technology many times throughout the day. And while it is amazingly helpful this chronic use of technology is having its way with us. These devices have a way of drawing us in, causing us to slouch over, round our shoulders and letting our head jut forward. This awkward position increases the load on our neck and shoulders drastically which leads to increased tension and pain…. AKA: Tech neck. The fix is simple: lifting your phone up to chest or eye level will allow you to stay more upright and in much better alignment! Technology is amazing but its clearly having an impact on us! So while these devices are smart, so are we! We can be proactive and frequently pause and check in with our posture. Awareness is the key to keeping our bodies, healthy, strong and pain free. Being proactive and creating a new habit like this for yourself is powerful! Doing so encourages us to be aware and present, and this is YOGA IN ACTION! Does your desk job cause you back, neck or hip pain? Try this Yoga exercise that you can do right in your office to relieve tension, increase core strength, keep your spine healthy and lower your stress levels. These are just a few benefits of workplace Yoga! Poses like this ones are also great for you develop more balance, flexibility, coordination and concentration. It is super easy to integrate this simple yet very powerful movements into your work day since you can even do them right at your desk! Want to learn more? Contact me to book a free 20 minute Yoga at Work session by emailing: info@vitalitywellnessmaui.com.